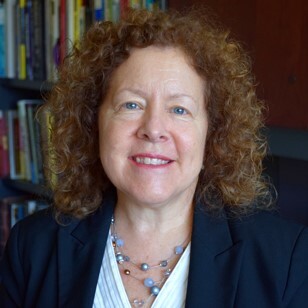 Dr. Nippert-Eng’s work has been featured extensively in the media, ranging from NPR’s “Talk of the Nation” and programs on PBS and MSNBC to the New York Times, Wall Street Journal, Newsweek, Working Mother and Fast Company. She has served as a consultant to a number of companies including HP, Motorola, Gillette, Steelcase, and Hilton Hotels. Nippert-Eng’s published books include Home and Work: Negotiating Boundaries Through Everyday Life and Islands of Privacy: Disclosure and Concealment in Everyday Life, both with the University of Chicago Press. Her newest book, Watching Closely: A Guide to Ethnographic Observation (October 2015 Oxford University Press) is an exercise-based approach to learning the skills of direct observation, featuring the work of former students in design, architecture and the social sciences. I attended my first CHI this year. It was also my first conference where there was an actual opening ceremony, with people hoola-hooping and shooting off fire extinguishers on stilts, not to mention the robots coasting around the hallways. I am a member of the American Sociological Association and attend nearly every year. I’ve been elected to the national councils for the sections on Communication and Information Technologies, Culture, Organizations and Work, and — just this year — Animals and Society. I suspect I will be a regular at CHI now, too.